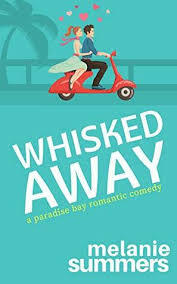 Synopsis: From the #1 New York Times bestselling author of the Princess Diaries series, comes the very first adult installment, which follows Princess Mia and her Prince Charming as they plan their fairy tale wedding—but a few poisoned apples could turn this happily-ever-after into a royal nightmare. One (or more) Sentence Summary: First....SQUEALLLLL, SCREAAMMMMM..I got to read a Meg Cabot advance copy!!!! 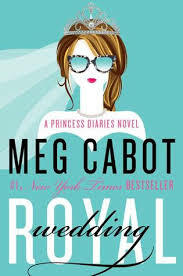 WAIT..Not only an advance copy of a Meg Cabot book, but PART OF THE PRINCESS SERIES..YYYYEEEEAAAAAA! Sorry about that, I am just a HUGE Meg Cabot fan and my favorite series is the Princess Series....I love Mia. In fact look under the tab, My Favorite Books, and you will see that the Princess series is listed there! Mia is all grown up and gets engaged to Michael, yes Michael! 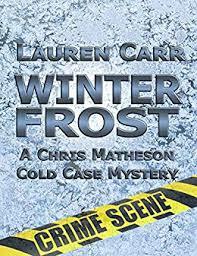 She is also dealing with all the drama from her crazy cousin Ivan who is running against her father in the Genovia elections, her father's arrest, and her half-sister. Yup, she finds out she has a sister. As with all the Princess books in the series, you laugh the entire way through the book. Favorite Character(s): Grandmere! Believe it or not, I love her. She is so funny and just says whatever is on her mind and doesn't follow the rules. She is a hoot. Lilly is another one of my favorite characters. She reminds me of mini Grandmere, she has no filter! Lilly didn't let me down, even though she wasn't in the book much (studying for law exams). Fast read/slow read: SO, Super FAST! What Others Are Saying: Check out what others are saying as part of the TLC Book Tours. Would I Read Other Books by the Author: I think that it is safe to assume I would! I have read all of Meg Cabot's books. Now I have to share with you all my Meg Cabot encounter. I used to live between Dayton and Cincinnati and there is a FABULOUS book store in Dayton - Books & Co. They would bring in all the top authors in for book signings. One time they brought Meg in. She is just as cool as her books! No joke, I took EVERY book of hers I had (three bags full), including the Princess series and she signed EVERY single one of them. She even personalized the Princess series to my twin daughters. I probably owe her a new pen as I am sure it had to have run out ink. She was so great and so funny. I can't remember what book just came out, but it was one the Size 12 books. My very fist Meg Cabot book I read was The Boy Next Door. I have been in love with her ever since. This sounds like yet another fun and fabulous addition to the Princess Series - what fun!